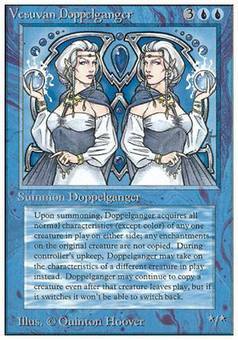 Vesuvan Doppelganger ($141.98) Price History from major stores - Unlimited - MTGPrice.com Values for Ebay, Amazon and hobby stores! 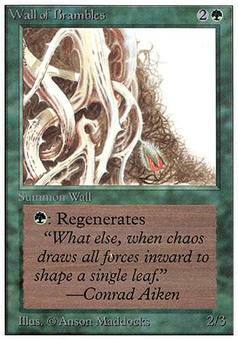 Card Text: You may have Vesuvan Doppelganger enter the battlefield as a copy of any creature on the battlefield except it doesn't copy that creature's color and it gains "At the beginning of your upkeep, you may have this creature become a copy of target creature except it doesn't copy that creature's color. If you do, this creature gains this ability."